For the month of April 2019 any Friends of Hartington CheeseClub orders will be FREE of postage charges (this excludes the vac packing option) if they are to be delivered before the end of the month. 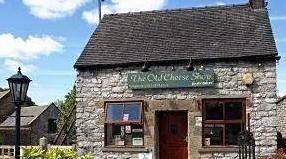 We are based at The Old Cheese Shop in Hartington. This quaint stone building has been open as a shop for almost 40 years (under various ownership) and has established a well deserved reputation for selling quality local and national cheeses. We not only sell cheese but we also make a range of exciting and delicious cheeses at our very own Derbyshire based Creamery.